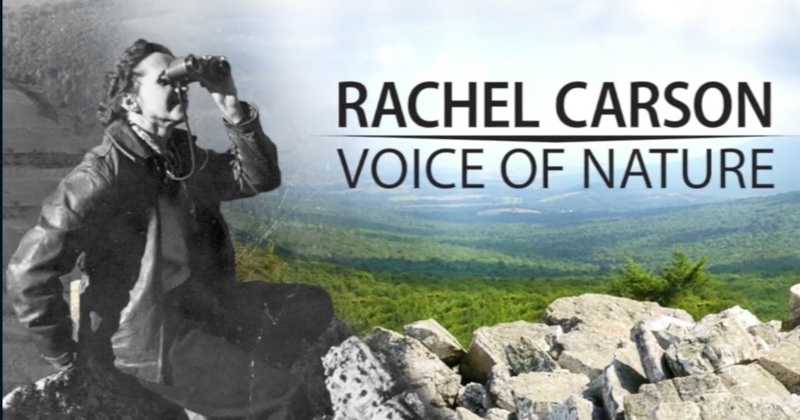 WITF this week premiered another in its series of PA Conservation Heritage documentaries-- Rachel Carson - Voice Of Nature. 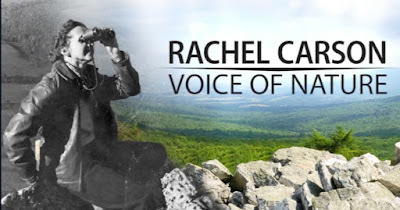 This program focuses on Rachel Carson’s connection to Pennsylvania and the impact her work has had on Pennsylvania environmental and conservation policy. Inspired by a supportive mother, her natural surroundings and the Allegheny River, it was her formative years in Springdale, Allegheny County that would shape her passionate environmental ethic. Rachel Carson is probably best known as the author of Silent Spring, which she wrote in 1962 to tell the tale of the impact pesticides and other chemicals were having on bird populations. Her work help to ignite the modern environmental movement in the United States. The headquarters building for the departments of Environmental Protection and Conservation and Natural Resources in Harrisburg is named for Rachel Carson. It is also home to a pair of breeding Peregrine Falcons, a species that was nearly wiped out by DDT and other pesticides that Rachel Carson researched. She also worked for the U.S. Fish and Wildlife Service. Funding for the program was provided by the Department of Conservation and Natural Resources, Heinz Endowments, William Penn Foundation, PA Parks and Forests Foundation, Ned Smith Center for Nature and Art, the PA Conservation Heritage Committee and viewers of public television. To learn more about about her accomplishments, visit the Rachel Carson website and her home in Springdale by visiting the Rachel Carson Homestead webpage. There are more inspiring stories and programs available on the PA Conservation Heritage Project website for teachers and interested Pennsylvanians.